Norma VanBuren was born Norma Johns in Cobleskill, New York on May 28, 1947. She married her husband, Jack VanBuren, in 1965. The couple lived in Richmondville for a few months and later moved to Mr. VanBuren’s hometown in East Worcester. They farmed in East Worcester but moved after they bought a farm in Roseboom in 1966. Norma recalls helping take care of cows and working in the fields, and she discusses the challenges of farming in upstate New York. In addition to remembering her life on the farm, Norma talks about the community’s reaction to her family purchasing the Grange in Roseboom. The Grange, officially known as the National Grange of the Order of Patrons of Husbandry, is a fraternal organization that encourages families to promote community and agriculture. This organization used to be very active in Roseboom and hosted dances and suppers. After the VanBuren’s bought the Grange, they used the land to host the Roseboom Antique Power Days. This event, now in its 18th year, plays a key role in the history of Roseboom. The tractor show brings in visitors from all around the country and celebrates Roseboom’s agricultural history. While Norma feels proud of her role in the creation of the Roseboom Antique Power Days, she is most proud of being a mother to her four boys. Norma recalls many memories of her children’s adventures over the years with their neighbors. Her comments on raising a family in Roseboom reflect the importance of community in rural areas. 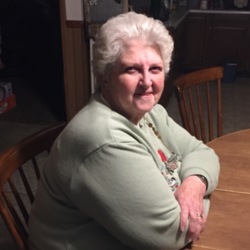 Norma’s love for children shines through her recollections of her work at the Cherry Valley-Springfield Central School District as a bus monitor. Her fond remembrance of the students with disabilities that she has worked with shows her compassionate nature. In addition to working as a bus monitor, Norma worked in a restaurant in Roseboom. Her comments draw attention to the instability of businesses in Roseboom that reflects a broader understanding of changes in rural communities in New York. Her volunteer efforts with the fire department’s auxiliary board, the Roseboom planning board, and the election board demonstrate her active role in the community. I interviewed Norma VanBuren at her home in Cherry Valley, New York. While visiting Norma, I had the pleasure of meeting her family and seeing photographs of the Roseboom Antique Power Days. In the transcript, I edited for grammatical purposes. During the interview, the interviewer stopped the recording two times at Norma’s request when visitors entered her home. These pauses are marked in the transcription. While the transcript is helpful, I highly recommend researchers consult the recording of the interview to gain a better sense of Norma’s story. This is the November 14, 2018 interview of Norma VanBuren by Mallory Hanson for the Cooperstown Graduate Program's Research and Fieldwork course recorded at Norma's house in Cherry Valley. Could you tell me a little bit about where and when you were born? I was born in Cobleskill on May 28, 1947. When did you move to Roseboom? We moved here in 1966. What were your first impressions of the community after you moved? I felt a little bit nervous about it, because it was more of a retirement community. There weren't many children in the area, so we were a little nervous about that. But everything worked out fine. Not that we had children at that time, but planning ahead, we were a little nervous. Did those impressions change over time of the community? Yes, the impression was much better, because as we did start to have children, it was a very neighborly area. Each time I had a child, someone would send things like cookies or something like that. As the children got older, people loved to have them around. They loved to have them stop in and talk. Even as toddlers, they loved it if I took a walk. They wanted me to stop, so they can meet other children. One neighbor up the road always gave them a dime or something when they got off the bus and they walked up from the corner. He did not always give to both of them or all of them, which made some problems. For the most part, everybody seemed to adapt to us, and we adapted to them. Did you notice any big differences from the community where you moved from to here? Where I was, the town was more active. When we first got married, we lived in Richmondville for a few months. Then we moved to East Worcester, that's where my husband grew up. There were more things going on in the town. They had little stores. Being on a main highway, there was more traffic. Other than that, they're somewhat similar. When did you start farming in Roseboom? Yes, we were farming over in East Worcester, and we heard about this farm being for sale. My husband came over, checked it out, and liked it. Then he brought me over to check out the house, and then we moved here in August of 1966. Could you describe the type of work you do on the farm? I helped in all the areas. I helped with chores. I helped feed the cows. I helped with the milking. Mainly with me, I carried the milk, because my husband's fussy about how the cows are milked. I carried the milk. I washed up all the milkers and any utensils we had out there after each milking. I also worked out in the hay fields. I helped bale hay and helped unload hay. I did pretty much whatever he needed. Has work on the farm changed over time? It has changed, because we sold our dairy herd. I don't remember the exact date when we sold the dairy cows. Now what we do is just have our crops, mainly hay. We raise a few beefers. Our sons help us with the haying, because we're both getting older and can't do it alone. That's about the only real changes I think. Why did you decide to sell the dairy herd? There wasn't any money in farming. It was very hard to stay ahead and keep the bills paid. You'd go to the repair shops to get parts or something and come out and have a little sandwich sized bag, and it would be over $100. The price of milk wasn't good. My husband just decided we couldn't keep going, so we sold the cows and he applied for a job in Sharon Springs. He was hired, and he worked there for 17 years until retiring from there. So balancing that along with continuing farming work? Can you describe some of the challenges that you faced through farming in this area? We had some problems here on the farm. First, we had water problems. When we moved here, our water came up black. It was sulfur, and it had to be treated with a special alum and stuff. My husband went to the hardware store in Cherry Valley, where the other owner had always bought the alum, and he gave my husband the wrong stuff. That made our cows sick. It caused me to have an early delivery of our second son, and my son ended up with stomach problems. That was a very hard year for us, because we didn't think we were going to make it. There wasn't enough money to go around, and our feed bill got out of sight. It took us a long time to get the cows back to where they should be because of the veterinary bills. For a long time, we were drawing water for all our needs, for the household needs, for the cows, and so forth. We could let them out to drink in the creek, but we didn't use any of the water that was coming from our well. That was very hard. Other than that, just contending with the weather. Worrying whether you were going to have good weather, so you could get the haying done. But mainly that's been it. We've been fairly fortunate. How long did it take for the well situation to be resolved? I really don't know. My husband could probably tell you better. For the well situation, how did you handle that process of getting it fixed? We just had to take time and let the bad alum get out of there. I believe that was when we drilled a new well. My husband's more familiar with that than I am, but it was a hardship for us. In terms of weather, did you ever have any problems with flooding? Not back when we first came here. In recent years, we have. About five years ago now, we had a bad, heavy rain. It was so bad that, where the creek runs down across the road from us, it took the bridge below our barn out, so we had a one-way street. Thank goodness we weren't milking at that time. If we had been, it would have been hard to get our milk out. With it being so wet, it was hard to get crops in. We used to raise corn, but as we kind of backed off farming, we went just with hay. What type of crops did you grow? Hay, corn, any others? No, that was pretty much it. We just had the two crops. As far as the community in Roseboom, how are you involved in that community? There's not a lot here to be involved in. We attended church here in Roseboom. For a while, we attended church in South Valley, but now we're back at Roseboom just because it's closer. There really isn't much of anything here to be involved in. The Grange was here when we first moved, but their membership was fading due to people passing away. So that dissolved. That's when we bought the Grange, because our land borders it. Can you tell me more about what the Grange is? The Grange is just mainly your farm families. I don't know the exact details of it because I never was in it, but they used to have a very active Grange here. They used to hold dances upstairs in the Grange Hall. They put on covered dish suppers. They had a group for the younger children. I don't know anything about that because our children weren't old enough to be involved. It was a very active group from what I've heard. When you bought the land, how did the neighbors react? Most of the neighbors were very nice about it. There was one lady that was upset because she said it was a historical building. I don't know if it was the town or what, but they wanted to buy it as a historical building. But the Grange people, who we had all known for years and were friends with, discussed it. They said they thought it was only fair for us to have it since our land did border it. We also told them we didn't plan to do anything to change it really. We're not going to make an apartment house out of it or a business. What we have done with it is mostly storage. Once a year, we do a tractor show there which is kind of nice because it goes back with the Grange Hall being farm related. A lot of the people were very pleased when we started doing that. Can you tell me more about the tractor show? This year I believe is going to be our 18th year of doing it. We've only missed one year and that was because my husband's health was bad. Each year it has grown a little bit. We started out with maybe 60 tractors or so and now we get close to 200. One year we had over that because we had an actual international group that came. That was a very big year. It's a free time. I mean we don't charge to bring the tractors. We don't charge for people to come in on the grounds. We have some vendors that do come in and that's also grown. The first one we did didn't have many vendors. Now we have vendors. We have people that come with a trailer that do food. We hold a Chinese auction on Sunday. We also have a tractor parade around the block on Sunday. It's something that everybody really looks forward to. We have people that are in Florida that come up here for the summer. They're calling us long before so that they can get a place up at Belvedere Lake or someplace, so they can have a place to stay that weekend. It's something that's very popular here in the area. It's my husband, myself, and our four sons. My husband and the oldest son, Brian, do all the tractor work. They repair two-cylinder John Deere’s. It's not just a John Deere show, which some people think. It's open to any tractor. We also actually have a group from East Worcester that comes over with the doodlebugs. They're popular also. We have to do flyers. We go around and post in different places, different businesses, and stuff. We have some people that give us a donation to help with the expenses, because it is quite an expensive thing to put it on. We advertise in the PennySaver. For the Chinese auction, I watch for sales after holidays and I buy the items. I don't go around to collect like most people do for their Chinese auctions. On Friday, it begins with setting up some then. Saturday morning, then everybody really starts moving. Saturday evening, we hold what we call a fellowship dinner. It's a bring a dish to pass if you can. I always go overboard cooking food for it. It's a good time and that's also grown. This year we had around 90 people. This is for the people that are involved with the show, so that's also very popular. People that are attending the show, are they local or are they coming from further distance? People come from all over. Of course, all your local townspeople, Cherry Valley, Middlefield, Cooperstown attend. We've had people from Michigan, people from Ohio, and Florida. It's grown. It's on Facebook so that people do know about it. It's definitely grown over the years. Sometimes it's word of mouth also. When you're putting up the flyers, do you go around to several different communities or keep it more local? Absolutely. We go to all different townships: Cobleskill, Richmondville, East Worcester, Worcester, Fonda, Canajoharie, Richfield, Sharon Springs, Johnstown, several places. We hit all kinds of businesses, not just the farming businesses. We also go to a local, little cafe in Cherry Valley. We post it up there. Just any place they'll let us put up a flyer we do. People that are attending the event, is there a certain age range that it tends to appeal to more, families? I would say it's all ages. Younger kids like to come because my one brother-in-law has a collection of pedal tractors. Usually he puts them all into two hay wagons. That's how many he has. The last couple of years he's left two or three off. He lets kids ride them around in a small area there and that appeals to them. They enjoy being able to have something to do too. We used to have pedal tractor pulls, but we don't have enough people to help with that anymore. We haven't done that in the recent years. That was just a little contest between the kids, and everybody was a winner. At the end, we'd give out free ice pops and little ribbons that said, "I'm a winner." Everybody seems to enjoy it, especially your old timers. Because they're looking back at the old tractors, the two cylinders, not your new super-duper ones that they have nowadays. But we do have some that are newer like that that come, so it's not all antiques. Our saying is "Roseboom, where the future meets the past." As the event has grown, has it changed quite a bit? I wouldn't say it has changed. I mean the word grown kind of covers it. We've gotten larger and there are more people involved. When we first started out, we didn't have many vendors. Now we have several, and we have expanded too. We have a gentleman that comes in on Sunday for the chicken barbecue. I forgot to say that we do have an outdoor church service on Sunday, and that has really grown. Believe it or not, we had one gentleman that used to be a sheriff in Schoharie call my brother-in-law and he said, "Are they going to have the outdoor church service?" My brother-in-law said, “Absolutely,” and he says, "I'll be there." People love to come for that too just because it's something different. For the outdoor church service, is that someone you partner with in the community that you bring in to speak? It's from the community. The gentleman, Ron Fralick, who is the minister here at the Methodist Church in Roseboom, comes down and does the service. Barb Lucas is the organist at the church. She has a small portable organ that they bring down. She plays an organ. Everybody sings hymns until Mr. Fralick can get here, because he preaches at another church before he comes here. It's an all-around good time. People go away happy and talking about how great it is to be out the fresh air and hear the birds sing. Going back to the Chinese auction, what type of items do you look for? We try to do a variety. We try to do toys for the children, something for men, and for women. It could be cosmetics. It could be clothing, knickknacks. Tools for the men, so we have a nice variety. This last year, I got carried away shopping, so I had more stuff than I could really even put out. Also, this year we changed it, and held it inside of the Grange Hall. We set up in there and then the people could come buy their tickets, go in, and put them in the cans that we have by each item. Before, we had held it outside under tents that were open. A couple of years we had rain and one year we had wind, so we decided to do that this year. We held it inside. We had a very good response to that. People liked it better. When it was time to draw, people brought chairs and sat around outside front. I sat out front with a microphone. Family members would bring the item and the can out. I'd call a number and it went over really well. What type of vendors do you have at the event? This year, we had a lady who makes jewelry. We had another lady who does some type of candles, and she also makes the burlap wreaths. We've had a small lawn sale. The Dairy Princess was there with her court. They served free ice cream to everybody. There is an older gentleman that comes, and he has tons of new tools. That's always a favorite with the farmers. We have another lady that brings different farm related items like milk bottles, the creamers, things like that. It's a variety. I never know for sure what I'm going to have. There was a lady with maple syrup. I forgot to mention that we do have a pancake breakfast out behind the Grange on Saturday and Sunday. That's a somewhat local group that does it. That's always well attended. Can you tell me more about the pancake breakfast? It's the Otsego County Maple Producers that do it. They serve pancakes, sausage, applesauce, coffee, or tea. It goes from 7:00 to 11:00. They have picnic tables all back where everybody can sit. They do quite well. They get a nice crowd. People look forward to something like that. Is that something they've been doing for several years now? Ever since we started. When we first started, we were involved with another gentleman and his family. Some problems arose, so we said we'd do it on our own. How did you find vendors to come to the event? Just kind of put the word out amongst people. People that we knew would contact and ask them if they'd be interested in setting up. There again word of mouth. This year, the lady with the jewelry, the maple syrup girl, and the candle girl were all new people. They had read about it either in the PennySaver or somebody they knew said, “Gee, you know, you ought to go to the Roseboom show.” So they called, and that's how they got here. Are quite a few of the vendors repeats? For the three that I just mentioned, those were all new this year. The tool man comes every year. Each year we have the dairy princess of course. Anybody else that has been here are repeats. The Girl Scouts used to come, but their organization kind of faded out, because they didn't have enough members. They used to come and do snow cones and things like that. Last year, we had a 4-H group. They did cotton candy, snow cones, and popcorn which was popular, something new. I also have a lady that lives up toward Cherry Valley. She comes and does a bake sale every year which is always popular. When we first started out, my one daughter-in-law did it, but then it got to be too much for her as her children got a little older. As a whole within the Roseboom community, are there any traditions that are celebrated? Not that I'm aware of. The one old church, on NY-165, they have turned that into a historical society. They hold a pancake breakfast. I believe they have an art show. One year during the Roseboom Days, they had an ice cream social. They had a little contest there too for pies, and I think they had one for canned pickles. That was something nice that helped draw people into the community too. How long has the historical society been a part of Roseboom? It's hard to say because a lot of the members are not older people from Roseboom originally. But they are trying. I don't know how many members they have. I haven't gotten involved in it because of that fact. I don't know how much knowledge they do have of Roseboom and several are older people. The son of the people that used to own this place donated some things that his mother and father had, because they'd always lived here. Other than that, I don't know a lot about the historical society. Over your time in Roseboom, have you seen the community change? a little bit more in the surrounding areas which are considered Roseboom. A lot of the places have been left and run down, so it's not as nice as it was when we first moved here. There was a little business up in Pleasant Brook, the next little town up. That was a family run business. He had a garage on one side of the road, and then they had a little grocery store on the other side. They lived in the other half of the house. They were wonderful people, and they've passed away. Of course, that's gone. A lot of the older people that were here that we remember are the ones that used to own the store on the corner, ones who lived across the way that did have the post office, they passed away. So now the post office moved across the street to the other store. Those are the things that have changed mainly. How have the businesses shrinking changed where you shop? When we first moved here, there was a big hotel over on the corner NY-166 and NY-165. That burned down several years ago. There was a little store across the street from that, and that's changed hands several times. It was a family business. The father passed away, and then, while the son had been working with the father and the mother, the son took it over. We were just talking about the businesses changing in town. The hotel burned down and then there was another business you mentioned too. Where the hotel was eventually a building was put up, and a gentleman ran a small garage there. He went out of business. People that lived up the hill just a ways from it bought it, and they made it into a restaurant and deli. Then they went out of business. Another lady bought it, and she had a bar and restaurant in there. Then another couple bought it. My one daughter-in-law's parents bought it and, as a family, they ran it for several years. Then for quite a while it sat empty. It's just recently opened up again under new ownership. [Chuck Wanamaker, co-owner of Belvedere Lake,] owns the business. They rent it from him. They're having a hard time getting going, but I hope for the best for them. It's called Roseboom Pizzeria, but they do serve burgers. How did the hotel burn down? I really can't say. I don't know. I just know that one night all of a sudden, we heard all the sirens and saw the flashing lights. We went over. There was nothing they could do to save it. It was a total loss. Did they ever talk about rebuilding it? Not to my knowledge. I didn't really know that much about it other than that it was a hotel. It wasn't my thing. When we first moved here, I was kind of a homebody. I had my children. I was raising them, and for a long time, I didn't drive. Once I got my license, I could get around a little more. When we first moved here, I didn't really know a lot of the people until later years. Can you tell me what it was like raising kids in Roseboom? It was different because there weren't a lot of other children around. We did have a family, two places down the road from us now, but they did live on the first place on the corner. They happened to have three boys. A couple of them were the same age as two of our boys. They went back and forth and played. Mr. Drake was the father. He was principal at the school, and then he became the superintendent. It didn't make a difference that they were involved in things like that. They were members of the Grange and they still are. The boys would come up, and Mrs. Drake would come with them, and they'd go up on our hills and ride downhill. The one year, my kids dared her to ride downhill in an old bathtub. Bless her heart, she did. This is up on a steep hill up here. She climbed on an old metal bathtub and rode downhill. They've had some wild experiences around here like riding downhill on car hoods. She's just very young at heart. Can you tell me more about Mrs. Drake? She's very active in the community. We couldn't ask for better neighbors. They were absolutely wonderful and they still are. Mr. Drake, unfortunately, is over at Focus [Cooperstown Center for Rehabilitation and Nursing], not doing too well. But Mrs. Drake is still very active. She left today as a matter of fact for Vermont with another lady. It has to do with the Grange. They're going out there to some big convention. They were going to drive from here to Albany today, and then her one son was taking them on to wherever the event is. She's very active in the church. Whenever they do suppers and things like that, she was always there working with anything that went on. She helped a couple of times with the tractor show doing different things. She’s just an all-around busy person. What kind of games did the boys like to play when they were younger? They played daredevil. They would come down the hill on their bicycles and jump off a ramp. They did fishing out in our pond. They did swimming up in the neighbor's pond. Whatever they could think to get into, they did. One year in the winter when it was cold, Mrs. Drake had come up because the boys were out playing together. All of a sudden, two of the boys, one of hers and one of mine, came running in screaming. They said, “Come quick! Tom's got his tongue stuck to the pipe on the bridge.” He didn't realize that the wet tongue would stick to the cold metal on the bridge. We quick drew some warm water and went down and poured it on. He was fine. It was a little sore, but that was one thing that happened. I'm kind of jumping backwards here, but one time our cows did get out. They went down behind their house, it's where they were pastured at that time, and they got on her lawn. Bless her heart, she was out there trying to help us round them up and getting back to work. She wasn't afraid of them or anything. There have been little instances like that where certain neighbors would have been really upset. But she said, “No, that's fine. The lawn will be fine. They didn't hit the garden.” That's what's made it very nice living here. That people get along so well. How often do the cows get out? Not a lot. One time, just after I'd had our second son, I kept hearing this commotion in the middle of the night. It was about the time that I had to get up to feed him. I happened to look out the upstairs window and there were the cows all over the lawn. They went over and they got in the neighbor's corn. We called over and we said, “Can you help us? Our cows are in your corn.” They did. They got up. They came. They helped get the cows back over this way, and we put them inside for the rest of the night. They were very nice about it. They didn't really do any damage. It was just the idea of waking them up in the middle of night to get our cows out of their corn. How do you get the cows to come back over? You try to drive them and just get around them. You tell them, “Get out of here.” Once in a while, we've had to use a grain bucket and shake it or pound on the side. That'll kind of call them. You never know where they're going to go when this happens. We have one neighbor up here that stops them and one down there. You just spread everybody out and hope you can keep them in a certain area. Do you have a specific breed of cow? We mainly have Holsteins. We did have some that were registered. We used to test milk. A neighbor up the hill, Mr. [Warren] Stannard, was a milk tester. He would come once a month. We would milk a cow. You'd weigh her milk. He would take a sample to find out what the butter fat content was. Now we just have the beef cows: Angus and Piedmontese. After you weigh it, what's the next step for testing milk? Let me rephrase that. When someone's coming in to test the milk, what's the purpose of doing that? The benefit of doing it is you can check and make sure that the creameries are not cheating you when they test it for butter fat. If you were to sell your herd, it gives a record of how much each cow is producing and what the butter fat is. Those all mean a lot when you sell your cows because it helps improve the price. Onto a different type of question. What kind of work have you done in Roseboom? Outside of working here on the farm, I worked at the restaurant when my daughter-in-law's parents were there. I worked a few hours at night helping to serve or wash dishes. I did whatever they needed. I also worked at the corner store which used to be called Bob's Corner Store. That was when the parents were running it. This isn't really Roseboom, but I've also worked for Cherry Valley-Springfield [Central Community] School [District]. I did a little of everything up there. I worked in the cafeteria. I was a full-time evening cleaner. When I first started out, I was a monitor on a bus where they had some problems with children with behaviors. Then I went on to a special needs bus with handicapped children. Some were in wheelchairs, some weren't. I became a full-time bus monitor. Then I retired from the cleaning position just because it was a rough time like this time of the year. I didn't get out until 11:00 and then to drive home and not know what the weather was going to be like. Now, I work a morning run and afternoon. Two runs actually. Well, we are wrapping up towards the end of our time. Is there anything you'd like to talk about that I haven't brought up or mentioned? Not that I can think of. I think we've covered most everything. Roseboom is a small area. I've thought of a couple things that we were talking about that I forgot at the time. We used to have a planning board here in the town to decide for zoning and things like that. I served on that. I am now on the election board for when we have the elections. I'm an election inspector. I've been doing that for close to 20 years. I served on the ambulance squad in Cherry Valley for three years. I wanted to do it more, but at that time, working at the school, I couldn't do that and do my refresher courses. Now I am close to a 20-year member on the Ladies Auxiliary for the fire department. Those are all things that I forgot before when we were talking. I am involved in some things, but actually in Roseboom, there's not too much going on. Can you describe some of your work with the [Election Board] and Ladies Auxiliary board? I enjoy doing the election, because I get to meet people that are new to the area that otherwise I wouldn't know who they were. We have a good time. There's four ladies a set. Unfortunately, two of the ladies have passed away, so we have a couple of new ladies. We always have a good time. It's a long day when it's a primary election because it's from 5:00 in the morning until 9:30 or 10:00. The auxiliary is just outstanding. We're there for the firemen when there is a fire or an accident with refreshments and drinks. We hold events to help raise money for them. We have pancake breakfasts. This last weekend, we just had the farm toy show which the firemen held. In conjunction, we did the Chinese auction which I believe was very successful. There was a large crowd of people. We also do just different dinners, like a spaghetti dinner or a chicken barbecue. When they do the kite festival in Cherry Valley, we always have a breakfast for them. There's one always on Memorial Day. We're an active group. We try to get out there and be involved. The Chamber of Commerce had a big event going on this year. They asked if they could use the firehouse and if we would help them, because they weren't sure what to do. We helped them out and that was very successful. For the most part, those are all the things I'm involved in and what we do. What did the Chamber of Commerce do for their event? I don't remember exactly what it was. It was to raise money for something. It was Woodmen's Day I believe they called it. It's a big event. This is the second year I believe they've had it. They have a professional team that comes in. They have contests like who can chop through the log the fastest or different sawing through the wood. They had a small Chinese auction. They had some vendors. They had the contest going on all weekend. The Chamber put on a breakfast so that people would have something to eat. It was nice working with them because they turned around and helped us with one of our breakfast. We did not ask them to, but they came and helped us get everything set up. It was a very nice weekend. About how many people are on the auxiliary board? On the auxiliary itself, right now, we have about 20 members. We have one lady who has been a member for 50 years, and we have another lady that's coming up close to that. Years ago, they had a few more members than that, but you've got to consider old times and new. Everybody's got kids in school, lots of events going on, so they don't have time. The group we have is doing really well. We all work together well. It sounds like there's a lot of activities and things to keep busy. Out of 20 members for the auxiliary, we had 16 members that worked at this event last Saturday. For setting up the night before, we had 10. For the day itself, we sell food, and we sell the tickets for the raffles. We had 16 out of 20. That's really amazing to have that good involvement. Thank you so much for sharing all your stories with me. 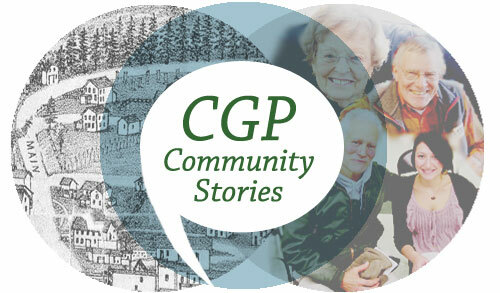 Mallory Hanson, “Norma VanBuren, November 14, 2018,” CGP Community Stories, accessed April 25, 2019, http://cgpcommunitystories.org/items/show/361.